The growing use of iPad applications has created iPad a remarkable device to do business while entertaining your important customers with complex user interface, superb usability and flexibility. iPad is becoming popular with all age teams. iPad has got immense popularity among its users with its innovative features and these features are larger screen in comparition with iPhone, touch screen, accelerometer, multitasking and multimedia capacity. 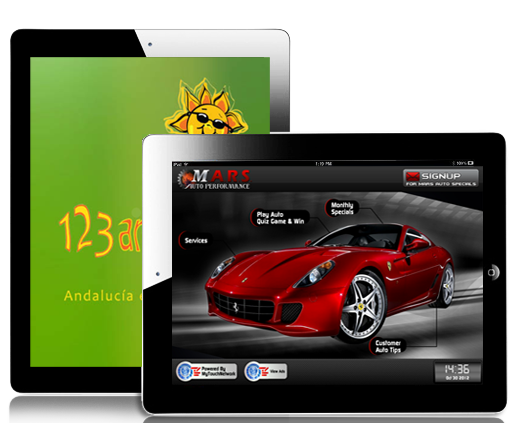 Our team creates highly useful iPad App Development for our clients. Due to its rich support for graphics and animation we have got a chance to develop some eye catchy graphics running smoothly on iPad devices. iPad App development helps you make your workflow smoother and easier as iPad apps can be customized to meet your business needs.So if you are planning for an iPad application to be prepared,think about Aplite Infosolution. We are dedicated to providing you less expensive iPad development services. Our developers meet the requirements by involving you in your project development method to ensure that you are totally fulfilled by the final result. We, at Aplite Infosolution are fulfilling the requirements of the customers covering various areas such as business app, iPad games, web, entertainment apps and many more.